Yes, that’s true about following other contestants. I wasn’t thinking about that. @mbl sometimes that may be skewed if they unfollow a bunch then follow a bunch. It's all part of sleuthing. @GuardianAngel wrote: Sleuthers have been successful for years monitoring F4 SM to determine who's out next and well before RS ever came into the picture. I agree! 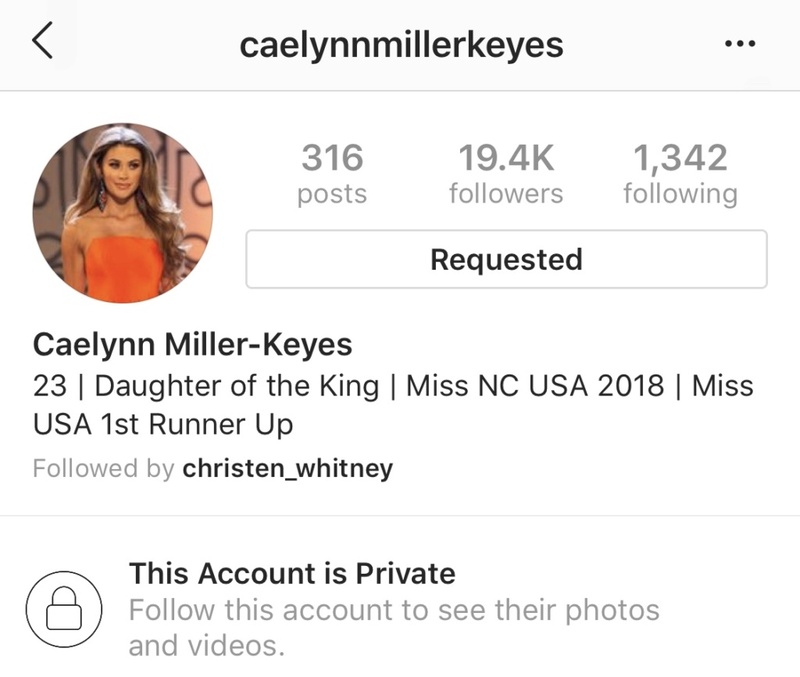 Someone who is really good at sluthing needs to check out Caelynn a IG because I’ve seen some slight changes she was following 1431 this morning but now she’s following 1342. But her IG has been fluctuating so much throughout filming so I’m not sure what to believe. Hannah had some slight changes also yesterday morning but nothing since then. I’m not super good at sluthing so need a second opinion by someone who is. If Caelynn's following kept fluctuating during filming it would be similar to Katie Morton, but this board was able to figure out Katie was eliminated despite her following fluctuating between 1901 - 1903 throughout filming based on Katie following a past contestant and it appearing in her followed by under the profile when it didn't previously show that person's name, so we can also keep an eye on that. 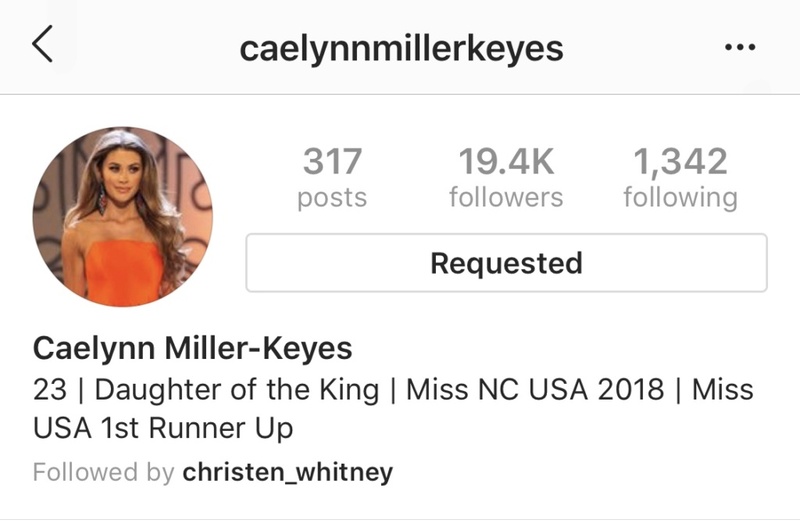 Unless someone is controlling her IG for her it’s seems like caelynn has deleted one her IG posts. The first screen shot is from earlier tonight and second one is from about 15 minuets ago. Why is this season so dead with sleuthing? Has everyone moved to Reddit? @Kels0012 wrote: Why is this season so dead with sleuthing? Has everyone moved to Reddit? *edit* I think it’s because this season has been very kept under wraps in terms of leaked spoilers. Maybe people don't care about this season so aren't wasting their time sleuthing. That is where I am. I'll pop into this thread once in awhile to see what is happening but it isn't something I really care about. Sleuthing is my favourite part of a season! Especially SC’s. Even if I don’t participate, I still like to pop in & follow along here. @jojo47 wrote: Sleuthing is my favourite part of a season! Especially SC’s. Even if I don’t participate, I still like to pop in & follow along here. Do we know the schedule for the overnight dates. @Kure24 wrote: Do we know the schedule for the overnight dates. -There has been someone who was eliminated before a rose ceremony (no, it wasn’t Annie) At the time I wrote this, the answer to this question was Caitlin Clemmens. I can tell you now there are numerous women this season who were eliminated before a rose ceremony. -One of the dates this season had a guest appearance by a fairly well known TV/movie actor. I’d say they are B list, but have become more famous in the last couple years. Terry Crews and his wife are part of one of the group dates in episode 3. And Fred Willard is on a date again for the third season in a row. -There is definitely a villain this season. Demi Burnett. -No single mom’s or divorcee’s this season. At the time I wrote this, I didn’t know of Tayshia Adams yet, so that’s changed. More on her on page 2. -As I suspected when I posted the bios, Heather is the virgin on this season and it’s definitely going to be her storyline. -I might be very close to giving you a front runner that I’m hearing about. In the past when I’ve posted what I’m hearing early on about a front runner, that person has always ended up being the winner. I’d like to keep my streak intact, so gimmie a little bit and then I’ll let you know about who this woman is. I will be stunned if Cassie Randolph doesn’t win. The one thing I heard a few weeks into filming more often than not was, “Cassie is gonna win, and Caelynn will be Bachelorette.” I mean, Cassie has a 1-in-3 shot of winning now and Caelynn has a 1-in-3 shot of being “Bachelorette” if we are to assume that they aren’t going to stray from their 14 season run of their “Bachelorette” being from the top 4 of the “Bachelor” season they were on. Who finishes 2nd vs 3rd I have no idea. I don’t think it matters at this point. I’ve been hearing Cassie is going to win since mid-October. -Alex Dillon dresses in a sloth costume the first night. Guess it didn’t go over well since she was eliminated night one. -Hannah B. showed up with a balloon on her and popped it, making a reference to popping a cherry. Oh boy. -Caelynn wore a sash that had “Miss North Carolina” on front and “Miss Underwood” on back. -Hannah B. and Caelynn’s pageant past becomes a major storyline this season. Even though they roomed together at Miss USA, something happened to where they were not friends after that and it becomes something that both of them talk to Colton about. -There is a cocktail party cancelled so they can have a pool party at the mansion. Something they’ve done numerous times before.